When asked on office visits if they would prefer to see the Nurse Practitioner vs. an MD, more people pick NPs. Why do patients prefer NPs, and why are so many nurses choosing to go back to school to become NPs? 1. NPs Can Be Autonomous Providers. Nurses who are interested in becoming autonomous providers in healthcare delivery—such as primary care or in a specialty agency like women’s health, pediatrics, cardiology, pulmonary or endocrinology—should consider becoming a Nurse Practitioner. In many states, NPs can own their own practice with a collaborative agreement with a physician. Remember, NPs still have to technically be under the supervision of an MD but depending on the practice, the setting, the relationship between NP and MD, some NPs can find themselves working in a nearly autonomous setting. 2. NPs Are in Demand. With the current changes in healthcare delivery, becoming an NP will prepare you for a unique opportunity for the future. 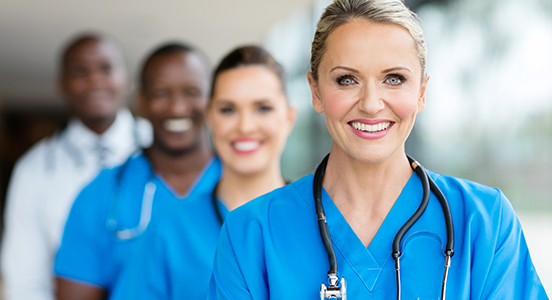 As an NP, you will be one of the four types of advanced practice nurses who have prescriptive authority and can manage patients holistically. Editor’s Note: Recent polls have shown that when people are asked if they would prefer to see the Nurse Practitioner versus an MD when they go to an office visit, the percentage of people who would prefer to see an NP has the majority. The reputation stands that NPs spend more time with their patients, form relationships, and care for the patient as opposed to just merely treating the illness. Of course this is all subjective but it is a common belief regarding the advanced practice nurse. And with the emergence of the title, MDs are hiring more and more NPs because having an NP can reduce their workload and is beneficial for the physician, making the advanced practice nurse a profession that is in demand. 3. Financial Aid Is Available. Financial reimbursement for some percentage of the tuition for a graduate degree is generally available through a nurse’s work setting. There are also loan forgiveness programs through the federal government if an NP graduate works in a federally run community health clinic for two years post-graduation. An NP’s salary and benefits can vary depending on the type of healthcare and geographic setting, but generally ranges from $75,000 to $110,000, with increased salary and bonuses if the NP owns her own clinic or is a partner in the agency. Benefits such as no weekend or holiday scheduling, extra salary for on-call work and more self-governance also tend to attract nurses to become NPs.